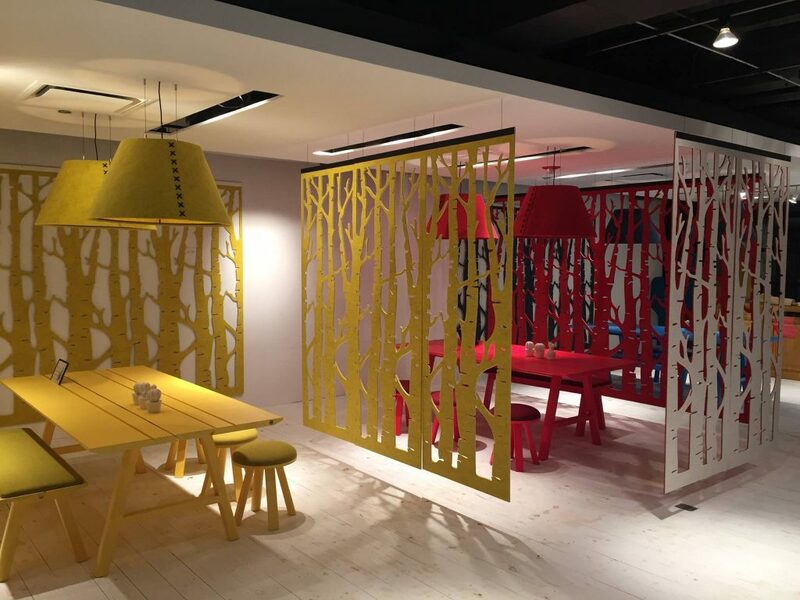 NeoCon is a large commercial interiors show in Chicago, which every year attracts a global audience and exhibitors including Knoll, Vitra and Herman Miller. We take a look at products that caught our eye and those of the judges at the NeoCon 2015 awards. 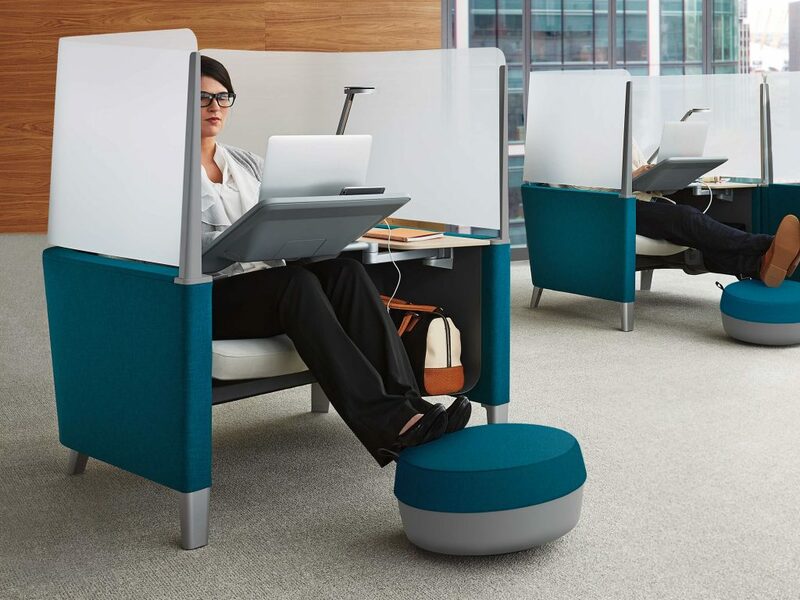 Brody is a work lounge from Steelcase that is designed to be good for your body and your brain. It was inspired by watching students at Grand Valley State University in Michigan moving furniture around to create the perfect study environment – improving their comfort and reducing distractions. 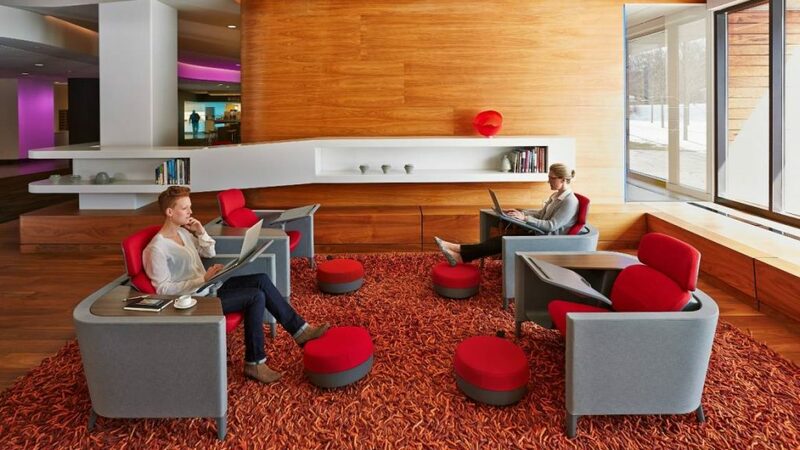 This concept of being distracted from tasks at home, at university and in the office is not new with Steelcase research revealing that in a typical day, workers and students get interrupted every 11 minutes. “NeoCon works for us. It is an effective way to see new products and emerging trends, as well as reaching out to and catching up with our partners.” explains K2 Space managing director Mark Phillips.